It’s no secret that Brooklyn is a well-known writer’s mecca, and for obvious reasons: a strong sense of community, tree-lined beauty, homes with a sense of history, fantastic parks, a family-friendly vibe, and an abundance of options to either feed your procrastination or fuel your next masterpiece. 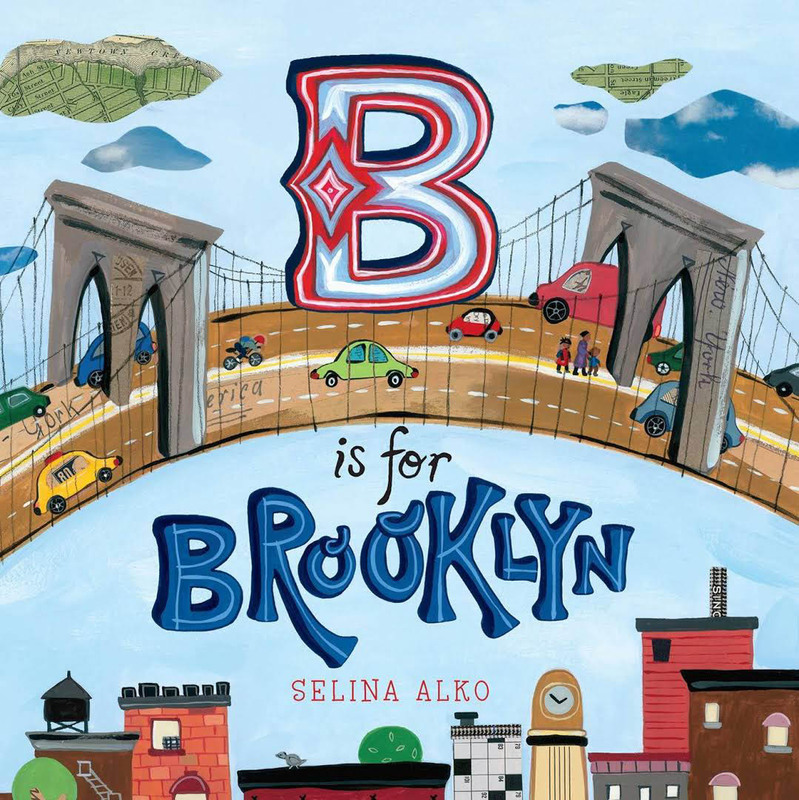 Below are 20 of our family’s favorite kid-approved children’s books, written by Brooklyn authors. Find them in local bookstores, like Powerhouse Books, Community Bookstore, Terrace Books, Greenlight Bookstore, Stories Bookshop + Storytelling Lab, Word, and more. Otis, Willie, and Hibernia are three children with a lot in common: they’ve all lost a loved one, they each have secret dreams, and they won’t stop fighting for what they want. And they’re also a lot like their hero, famed boxer Joe Louis. Throughout this moving novel, their lives gradually converge to form friendship, family, and love. Their trials and triumphs echo those of Joe Louis, as he fights to become the heavyweight boxing champion. But Farmer Brown’s problems REALLY begin when his cows start leaving him notes…. When a bus driver takes a break from his route, a very unlikely volunteer springs up to take his place-a pigeon! But you’ve never met one like this before. As he pleads, wheedles, and begs his way through the book, children will love being able to answer back and decide his fate. In his hilarious picture book debut, popular cartoonist Mo Willems perfectly captures a preschooler’s temper tantrum. It’s hot down in that subway train. But one cool passenger catches young Oscar’s eye. She’s the Island Lady, and from her bag she pulls a blue island breeze, the Caribbean Sea, the Calypso Man, a steel band, little lizards, and a whole island town. Oscar gets so tingly he just has to dance – and you will too, on this tropical vacation where you would least expect it: down in the subway! From days on the stoop, playing hopscotch and watching fireworks from the rooftops, to school field trips into the city, where zoos and museums await, Michelle introduces readers to her favorite places and things to do. Mari Takabayashi’s diminutive scenes, busy with cheerful detail, bring the beauty and bustle of New York City to life for children all around the world. My Subway Ride whisks you through the vivid sounds, sights, and rhythms of the heart of New York City’s subway and all the great stops along the way. From the “pitch, smack, home run!” of Yankee Stadium, to the rattle of the Cyclone and the sticky cotton candy on Coney Island, to the pulse of the crowd in Times Square, this book immerses you in the movement of the city. Jean-Michel Basquiat and his unique, collage-style paintings rocketed to fame in the 1980s as a cultural phenomenon unlike anything the art world had ever seen. But before that, he was a little boy who saw art everywhere: in poetry books and museums, in games and in the words that we speak, and in the pulsing energy of New York City. When Floyd’s kite gets stuck in a tree, he’s determined to get it out. But how? Well, by knocking it down with his shoe, of course. But strangely enough, it too gets stuck. And the only logical course of action . . . is to throw his other shoe. Only now it’s stuck! Surely there must be something he can use to get his kite unstuck. An orangutan? A boat? His front door? Yes, yes, and yes. And that’s only the beginning. Every morning, Fred climbs three flights of stairs—up to his rooftop in Brooklyn, New York—and greets the members of his enormous family: “Good morning, my bees, my darlings!” His honeybee workers are busy—they tend the hive, feed babies, and make wax rooms. They also forage in flowers abloom across Brooklyn… so that, one day, Fred can make his famous honey, something the entire neighborhood looks forward to tasting. After a play date in the city, Addy heads home to the country with her family. And through the long drive, the moon seems to be following them closely—Addy’s faithful guardian and friend. When a class pet proves to be more than a handful, the students agree they cannot keep him, but how will they convince their teacher, Mr. Stricter, who loves the strange creature? On the day the tadpoles hatch, the whole class is amazed—they’ve never seen their teacher so excited. Mr. Stricter has always wanted a pet, so he tells the students they can keep just one. The class chooses Bruno, the smallest of the bunch. But Bruno doesn’t stay small for long. Soon he’s grown into a giant, classroom-wrecking creature: He eats desks, farts for show-and-tell, and sneezes slime all over everything! Everyone can see that Bruno is trouble. Everyone except Mr. Stricter.With their teacher blinded by love for the pet, the students must step up and take matters into their own heroic hands. There were all the other bears . . . and then, there was Ursa. One night Ursa had an idea. An amazing idea. A wild idea. She was going to fly! It was such a crazy idea that no one believed she could do it. She was a bear, for goodness sake, and bears don’t fly! Or do they . . . ? Have you ever wondered why you are you? Or who you would be if you were someone else? Someone taller, faster, smaller, smarter? Someone lighter, older, darker, bolder? Presented as a poetic exchange between two characters–who don’t realize they are thinking and asking the very same questions–this beautiful celebration of our humanity and diversity invites readers of all ages to imagine a world where there is no you or me, only we.